"Will stay again, staff was friendliest and more helpful than..."
Have a question for Sunview Place? "I stayed at this this hotel many times and have always found the staff friendly and accommodating." Offering quality accommodations in the shopping, nightlife, beaches district of Pattaya, Sunview Place is a popular pick for both business and leisure travelers. With its location just 0.3 Km from the city center and 130 km from the airport, this 2-star hotel attracts numerous travelers each year. For sightseeing options and local attractions, one need not look far as the hotel enjoys close proximity to Golden Gym, Soi Buakhao Market, Dr. Olivier Clinic. At Sunview Place, the excellent service and superior facilities make for an unforgettable stay. Top features of the hotel include free Wi-Fi in all rooms, 24-hour front desk, Wi-Fi in public areas, car park, room service. 70 rooms spread over 6 floors provide a warm and pleasant home away from home. Modern comforts such as internet access – wireless (complimentary), air conditioning, desk, balcony/terrace, television can be found in selected rooms. The hotel offers an excellent variety of recreational facilities, including outdoor pool, solarium, pool (kids). When you are looking for comfortable and convenient accommodations in Pattaya, make Sunview Place your home away from home. "Used this hotel for a long time good location and good size..."
Security of hotel . And staff very attentive to your stay . For years this hotel has been running very well recently and has very deteriorated attitude. To the extent that they treated me as an enemy. I'm going to destroy this hotel by keeping customers from getting there. I have never thought so about a hotel in Thailand. But this time the hotel's deception against me went as far as possible. For good gentleman Thank you for staying here. Apologize about check out time global normal check in - out time Check in time 14.00 PM. Check out time 12.00 noon But you check out time at 20.00 pm. So you pay more 1 day . sorry for all the confusion Good luck. I stayed at this this hotel many times and have always found the staff friendly and accommodating. It is also not too expansive . The rooms are basic but clean and the showers provide a steady stream of hot water. If you can get a room overlooking the pool for a better view. Baht bus route is outside the hotel from where you can jump on and for 10 baht ride to beach road , the market or Pattaya Klang road. Very nice place. clean rooms, friendly staff and close to everything PAttaya..pool was a big plus. great street food and restaurants all around. Little noisy on some night when birthday party's going on at bar close by..of course thats PAttaya anyway right? I was at a different hotel when I was informed I needed to switch due to a licensing issue. The other hotel manager recommended this one and another. 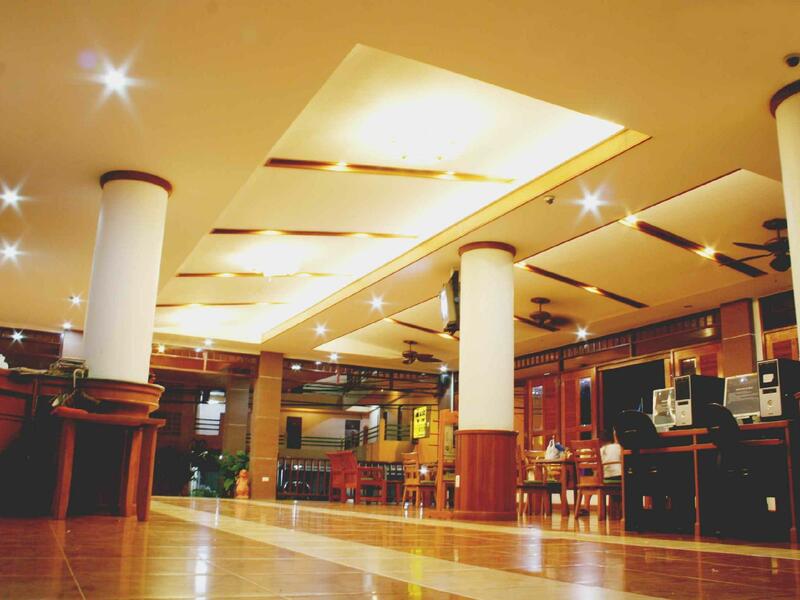 I picked this hotel as it was available on Agoda and close to my previous hotel. I did not have a lot of time to research prior to selecting. I will add this hotel as future considerations during my Pattaya stay. Pros: When I checked in, a receptionist warned me my room faced a construction site, which I saw as I walked in. So I paid 50B/day to upgrade to a pool view room with balcony. I am glad I did. Decent WiFi speed. 2 bottles of water per day Guest friendly Has elevator/lift Allowed me to have an 1 hour late checkout without fee Quieter part of the soi. Cons WiFi password is good for only 1 device. If inactive for more than 10 minutes, will need to re-sign in. With a little thought, you can figure out how to get around this limitation. Shower, sink, and towel hanger close together. Unless you are very careful, your sink and/or towel will get very wet during your shower. Typical thai cleaner only do floors and bed dont worry about dirt marks on walls dust on tv and elsewhere broken shower holder only cost a few baht to put right apart from that rooms are good staff are good I would definitely go back just annoying to hold shower head while showering. I stayed at the Sunview Palace before and loved it. The location is great. The rooms spacious and I love the fact, that they have a balcony. This time I realized, the place could do with some mainanance. It has a worn feel to it. The location of the hotel is on Soi Bukauw not far from the action and many taxi's (baht buses) travel past the hotel. Only cost 10 baht each time you get on. Pool is in the shade and there is plenty of space to sunbathe. Stayed here many times. Nice affordable hotel with clean rooms and friendly staff. Wifi speed is reasonable but could be a bit faster but the hotel is not expensive and you can easily hail a baht bus (taxi) outside the hotel to take you anywhere. There are some bars nearby that cab be noisy but hey it's Pattaya. The only down side to my stay was that there was building going on beside hotel at time of stay and the bed was a bit too hard on the back. But overall the experience was very pleasant and I would go back again. Stayed here before and this time was just as good. Have friendly staff here, there may be cheaper guest houses in the area but there is a decent swimming pool here. Also a decent size balcony to sit out for a bit with a cup of coffee. Overall good hotel for a decent price. good location for getting about in pattaya. a nicely located friendly hotel. great staff who are very helpful, especially when things go wrong! the location is good for anyone looking to enjoy the nightlife of pattaya with song taew's heading north and south just outside the hotel. it can be noisy with a busy road and bars right outside but i didn't find it overly so. and if you want to stay in pattaya then perfectly quiet places are hard to find. overall, it's a nice hotel for it's price bracket and ticks most of my boxes. i will happily stay here again. Very friendly and helpfull staff, rooms of good size. Pool is clean and never crowded. Location is within reasonable walking distance or short baht bus trip to All shopping, food / bar areas and beach.